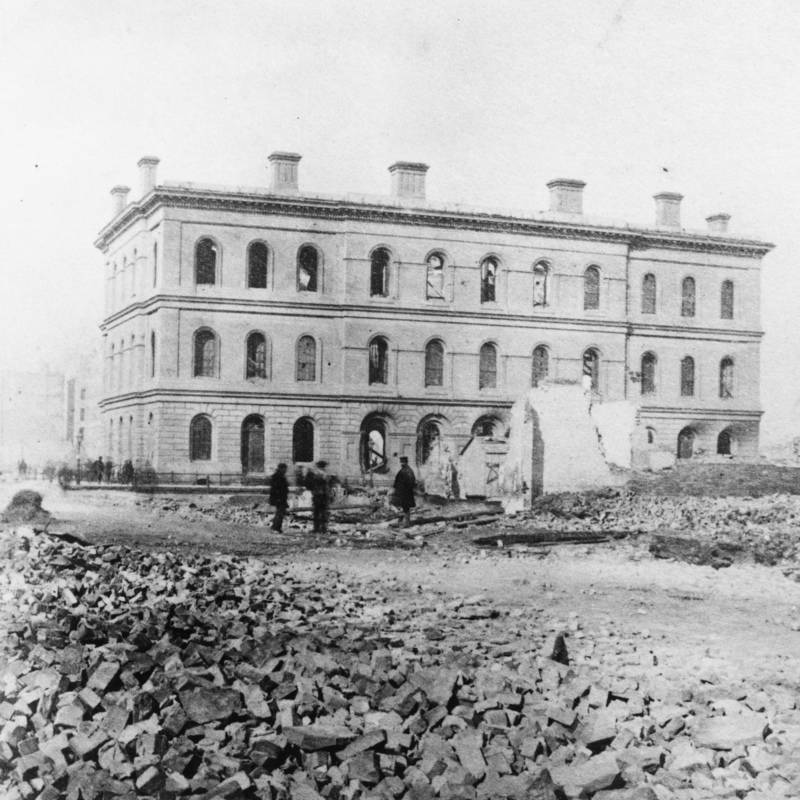 The fire started on Sunday, October 8, 1871 and didn't stop until October 10. 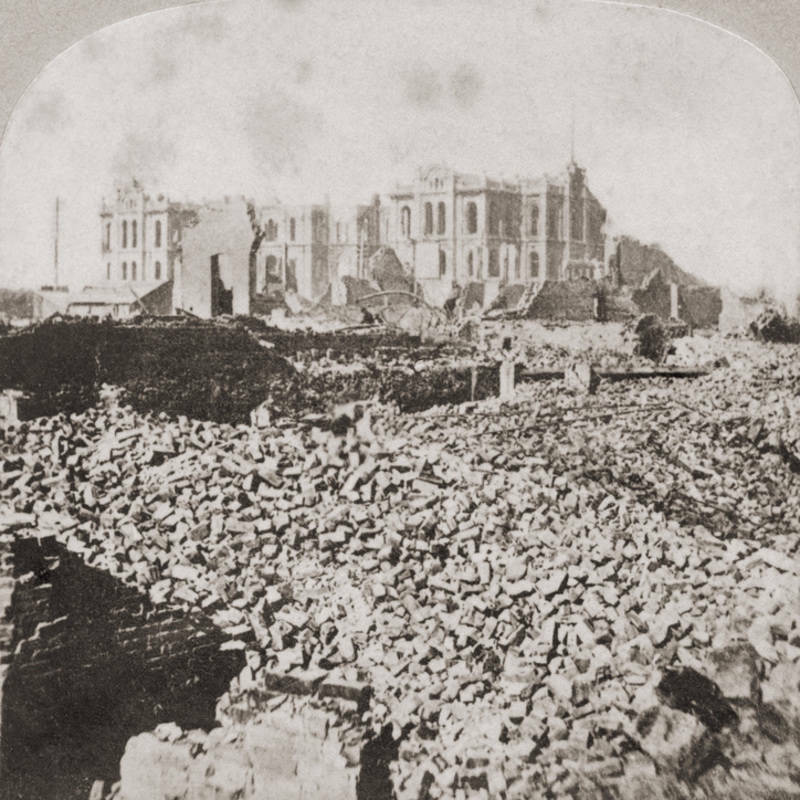 When it was over, as many as 300 people were dead and 100,000 were left homeless. 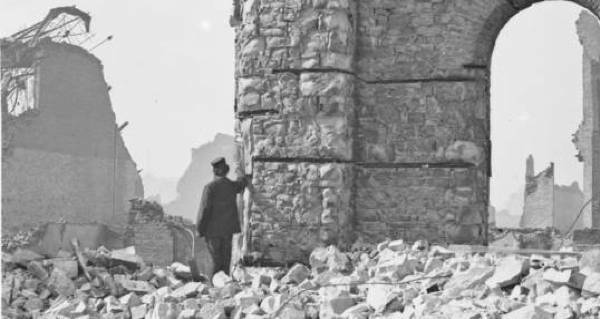 The blaze, which later became known as the Great Chicago Fire of 1871, is said to have started inside a barn that was located on DeKoven Street. A shed beside the barn was the first building that caught fire. From there, the flames quickly spread across the city. Because, at the time, most of Chicago was made out of wood, the fire had every opportunity to spread and grow. To make matters worse, the city had seen practically no rainfall for four months prior, meaning that severe drought conditions were present at the time of the fire. As unlucky as the situation was, it was about to get even worse. When the firefighters were first notified about the blaze, they were accidentally sent to the wrong place. 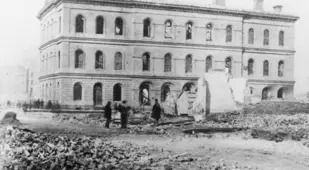 Thus, by the time they actually reached DeKoven Street, the fire had spread so much that little could be done. 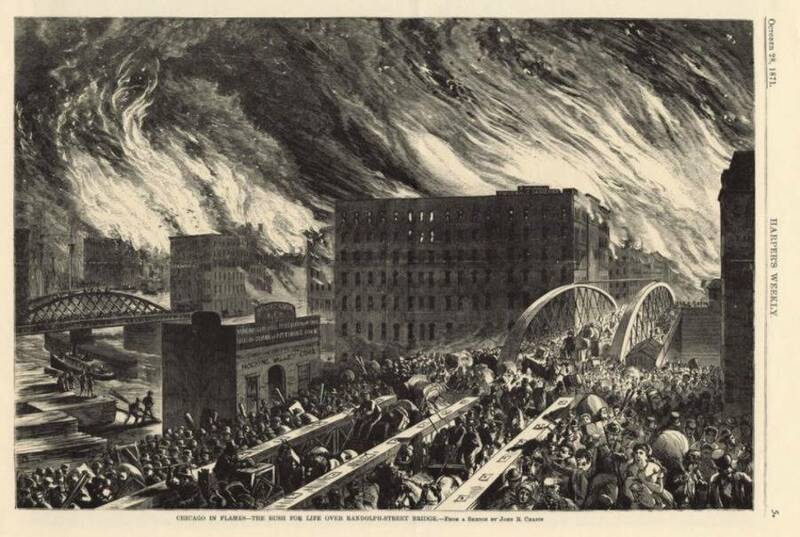 Soon, the fire had spread across the Chicago River, where it ravaged the waterworks building and left the city with no water supply. On October 9, the city saw a glimmer of hope as it began to rain. 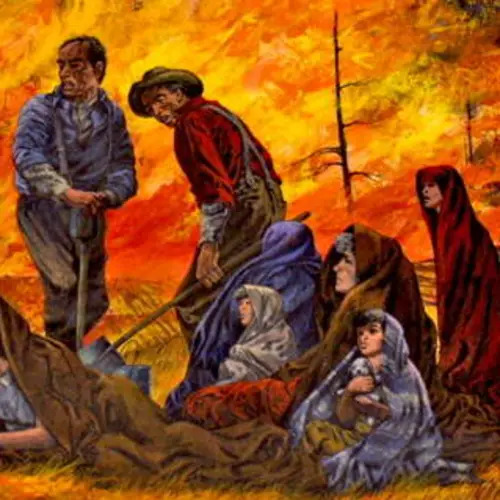 But by that time the fire was dying out anyway — and most of the city had already been destroyed. 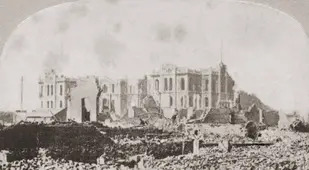 The fire died out completely the following morning and the city’s inhabitants were shocked beyond belief when they first saw the extent of the damage that the fire had caused. 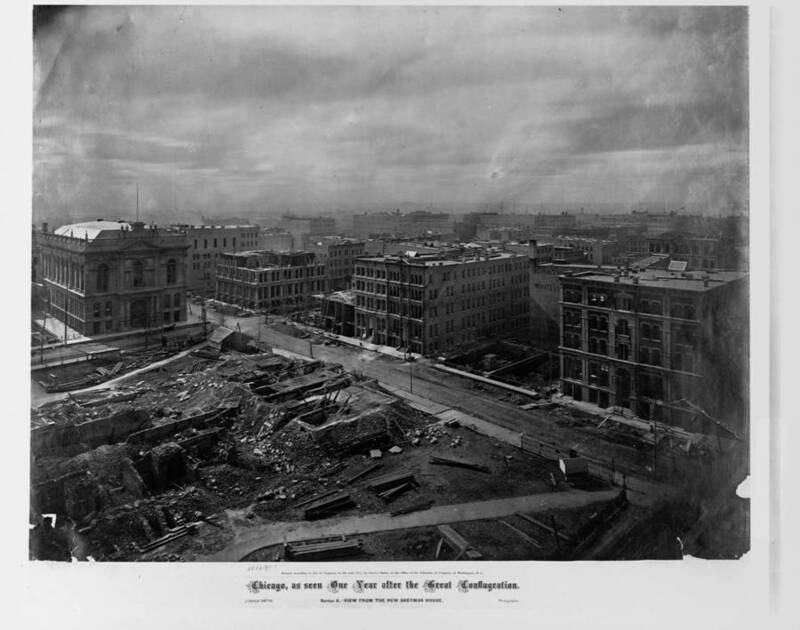 Chicago was but a sad skeleton of its former self, with most than three square miles destroyed and hundreds dead. At least a third of the population was left homeless. 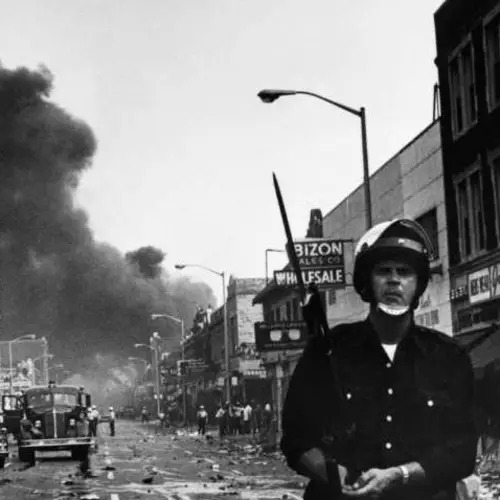 “In the midst of calamity without parallel in the world’s history, looking upon the ashes of thirty years’ accumulations, the people of this once beautiful city have resolved that CHICAGO SHALL RISE AGAIN”. 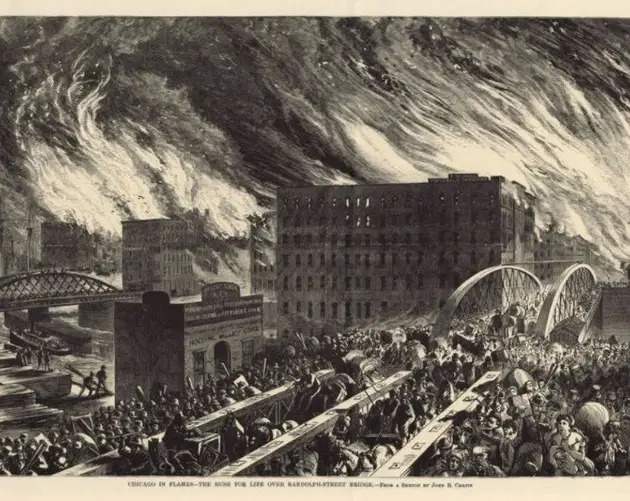 After Chicago did rebuild, the city reworked its fire standards, which eventually led to it developing one of the best firefighting forces in the country. But when it was all said and done, to this day no one knows how exactly the fire started. Legend has it that it began when one Mrs. O’Leary, an Irish immigrant, was milking her cow. The animal supposedly kicked over a lantern and the rest is history. 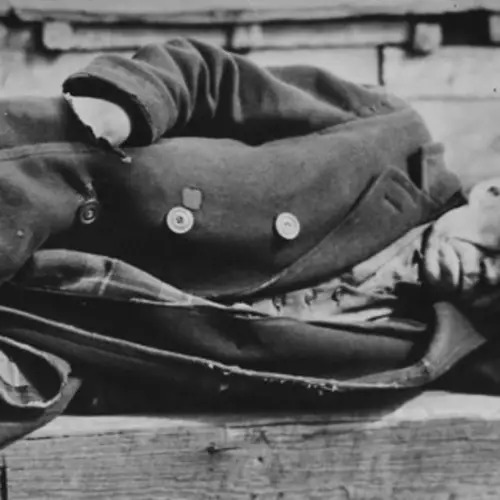 Others blame a man named “Pegleg” who allegedly knocked over a gas lamp when he was stealing milk from Mrs. O’Leary’s barn. Still others claim that the fire resulted from a meteor shower even though this theory has found no support in the scientific community. 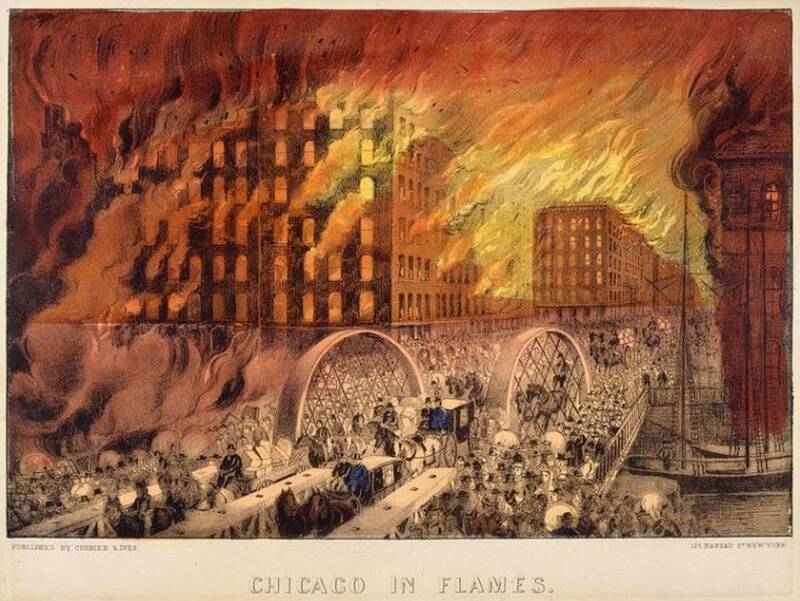 Whatever its cause, experience the devastation of the Great Chicago Fire in the gallery above. 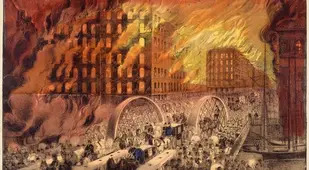 After this look at the Great Chicago Fire of 1871, read up on the Cocoanut Grove Fire<, the deadliest nightclub disaster in history/a>. Then, see the most devastating natural disasters of the 21st century.